We provide quality roof replacement services in Midhurst. Over time, many different things can contribute to causing damage to the roof on your home. Weather is a huge contributor, as well as the original materials that were used and the workmanship that was done. The age of the roof is also a contributor, as most roofs will only last between 20 and 30 years before at least the shingles need to be replaced. Determining if you need to replace your roof can be a hard thing to do. At Slippery Slope Roofing, we can help you every step of the way with our top-quality roof replacement services. If you are not sure if your roof needs to be replaced or not, there are a few warning signs you can look for. If your roof is missing a lot of shingles, it is a good indicator that it needs to be replaced. The shingles are what protect the roof from the weather and prevent leaks. If you notice your roof leaking, it is a sure sign you could benefit from roof replacement. Another sure sign you need roof replacement is if you notice your roof sagging, dipping, or bowing in places. This means there is most definitely damage and you need to have your roof looked at by a professional before your roof collapses in places. At Slippery Slope Roofing, we can take care of all your roof replacement needs in the Midhurst, Ontario area. We will come out and inspect your roof and give you our expert opinion on what needs to be done. 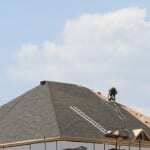 We will complete your roof in a timely manner and as quickly as possible. We show up when we say we will because we only work on one roof at a time. We will complete your roof from start to finish before we start another project, so we can devote all of our time and attention to your roof. We are accredited by the Better Business Bureau, so you can have peace of mind knowing you are dealing with an honest and fair company.